Thread: Advice for a complete coffee noob. I want to buy my new partner a coffee machine for Christmas, but as I don't drink much coffee, I'm not sure exactly what I'm looking for. She used to have some sort of manual machine (Delonghi) and would grind her own beans in a separate grinder, so looking for something similar for a budget under $500, incl grinder if possible. She is not a huge coffee drinker, maybe two cups a day, and we won't ever need to make more than 3 or 4 cups at any one time. Some of the Breville machines seem to get decent reviews, but might be stretching the budget a bit on some models. Worth it, or are there some other machines worth considering within my budget? For an espresso machine AND grinder for your budget you may be able to get a Breville "barista express" at the Breville factory outlet store (Sydney/Melbourne). You might just find a quality second hand machine on CS here but that would blow your entire budget which is not what you asked for. 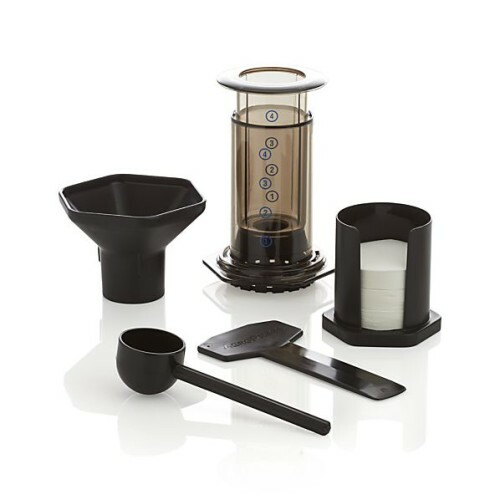 With your budget you could spend a reasonable amount on an electric grinder and get some of the cheaper manual brew methods like an aeropress or v60 pour over (pictured below). Or stretch the budget for the 3 in 1 brewer the Trinity One (pictured above). The Trinity One is designed in AU and is going to look great as your partner makes a tasty coffee brew. 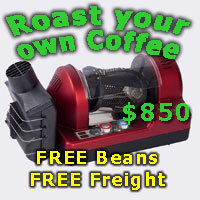 Make sure you use some of your budget to buy your partner some excellent quality fresh roasted coffee beans! You can buy some here at Coffee Snobs Bean Bay or other site sponsors listed below. The Coffee Snobs Ethiopian Ardi roast just won a gold medal in the golden bean roasting competition. Personally I'd lean towards an Aeropress with a nice hand grinder or entry level electronic... then upgrade to a Trinity once you know that she likes that style of coffee. If not, she could use the grinder with any espresso machine down the track. $400 on a grinder and the balance on a French press or stovetop. I wonder what he went with, I would have recommended my set up. EM480, EM6910, both used, both work fine, EM6910 has done over 10,000 shots.